Women in Horror Month aims to showcase and carve out a space for women in the horror genre. Whether this be behind the scenes, writing, directing, producing or on-screen badass-ery. A true celebration of everything bloody and brilliant. During the month of February, here at Screenqueens we’re going to be showing off masses of female talent in our showcase, this could be anything from amateur experimental shorts to festival circulating features so keep your eyes peeled. 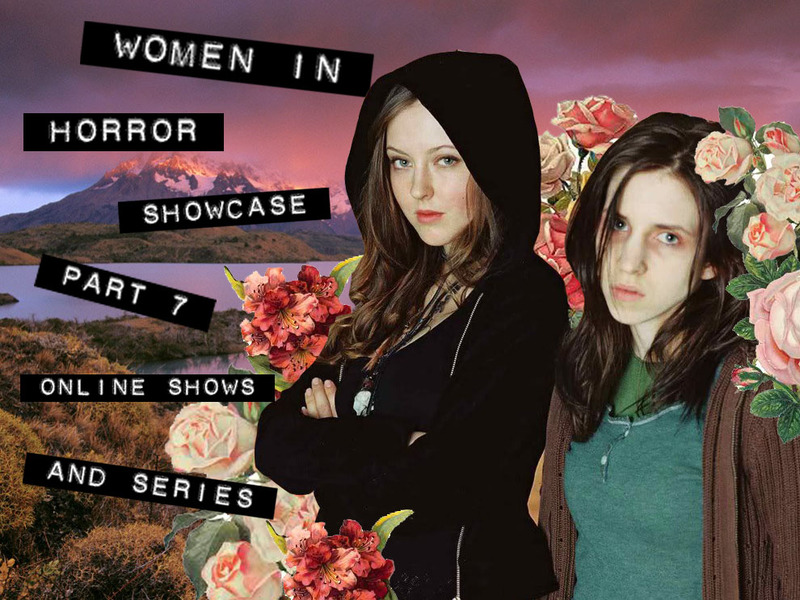 This final WiHM showcase instalment is dedicated specifically to horror based online shows and series. Amy Hoff is the writer and director of Scottish supernatural web series Caledonia. The show uses multimedia storytelling, including journals, short stories, and video. Amy has just released a book version of her web series, available on kindle here. Caledonia is set in Glasgow, Scotland. Detective Inspector Leah Bishop and her selkie partner Dorian Grey investigate other-worldly crime in Scotland’s City of Culture. Here is a link to Episode 1- ‘Even Fairies have drug problems’, the rest of the series can be viewed here. Lindsay Serrano has already featured some of her work in the WiHM showcase. For those who missed it, she’s the co-founder and producer at Mass Grave Pictures based in NYC. She’s a writer, producer, director and special FX make-up artist. The Attack of the Brain People is an online series which she co-directed with Louie Cortes. It’s an homage to the 1950s creature features. The first episode is a black and white short that they originally released as a web series in 2013. She thinks the best way to describe it is it’s like Ed Wood directed Night of the Living Dead. She directed and assisted Cat Martin with the make-up. It recently won Macabre Faire’s 2014 Best Sci Fi. Here is a link to the first episode ‘The Picnic’ and the trailer and first few episodes are available on Vimeo here.